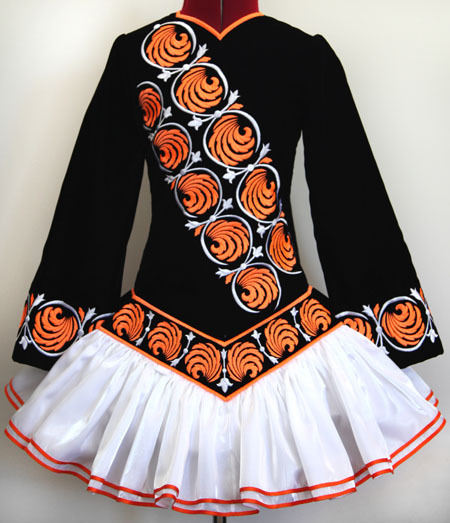 Black velvet bodice and sleeves, with fluoro orange and white asymmetrical embroidery design. 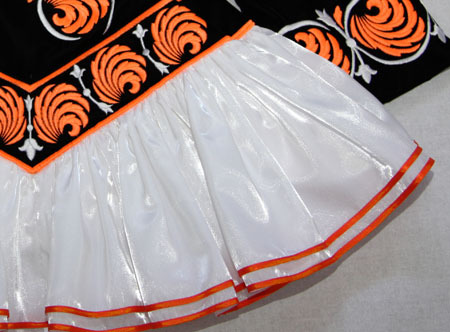 Striking skater skirt constructed from crisp white twinkle satin with orange ribbon trim. 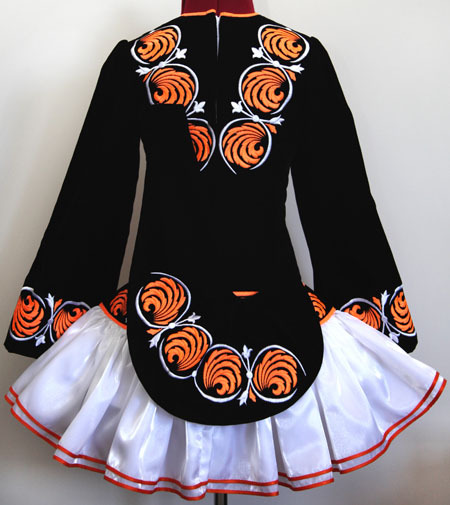 Soft style shawl constructed from black velvet with matching fluoro orange and white embroidery design. Orange and white gingham skirt lining.